Current crash prevention technology could drastically reduce the occurrence of deadly rear-end collisions, which represent approximately half of the country’s two-car accidents and claim 1,700 lives every year. The potentially life-saving systems alert drivers or apply the brakes automatically if they detect an impending collision. Unfortunately for the car-driving masses, the systems don’t come standard and are often expensive. However, if federal regulators have their way, the crash-avoidance systems will become a standard feature- much like anti-lock brakes and airbags. As the National Transportation Safety Board notes, consumers don’t have to pay extra for seatbelts, so why should they have to pay more for collision prevention technology? They are receiving some resistance from automobile manufacturers, though, who typically earn several thousand dollars for each installation of the optional feature. The Alliance of Automobile Manufacturers maintains that buyers want to make their own decisions about what cars they drive and the features they have. A 2007 federal study determined that driver inattention was responsible for an astonishing 87 percent of rear-end collisions. This data prompted regulators to conclude that 80 percent of fatalities and injuries from rear-end accidents could be prevented with wide-spread installation of the systems. There are two components to the systems: 1) beeping and flashing warning signals to alert the driver when the sensors detect a hazard, and 2) automatic brakes that activate- even at high speeds- to avoid an accident. With the Insurance Institute for Highway Safety designating crash-avoidance systems as the lone benchmark for its ratings of the safest vehicles, the technology is increasingly being viewed as a paramount safety feature for drivers. Approximately 40 percent of 2014 model vehicles offered the crash-avoidance system, up from only ten percent of vehicles in 2010. According to regulators, however, a mere four of the 684 new 2015 models came equipped with the system as a standard feature. Those models included the Mercedes-Benz $114,000 G-Class and three Subaru vehicles, Forester, Legacy, and Outback. Subaru offered the technology as standard on models that come equipped with their ‘Eyesight’ package, which costs consumers a minimum of $1,300. It is common practice among automakers to offer the crash-avoidance technology bundled with the more glamorous, comfort-oriented upgrades consumers are willing to splurge on, such as deluxe seats. For instance, Hyundai offers automatic emergency brakes on their 2015 Genesis, starting at $38,000, as part of its $3,500 “tech package.” The safety feature appears seventh on the perks list behind a powered driver’s seat cushion extender and ultra-premium leather seats. While auto manufacturers are eager to increase liability-spreading, pro-active safety features, they are also hesitant to offer a feature for free when there is still money to be made from it. And with car buyers being more enthusiastic about comfort features, odds are it will be some time before the rear-end collision safety feature is as commonplace as seat warmers. 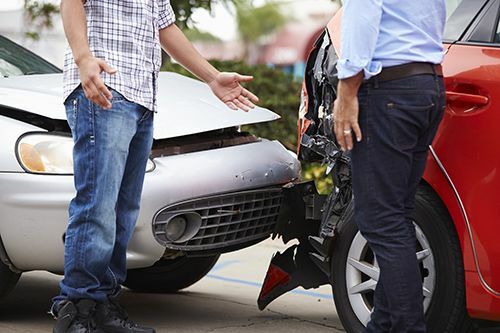 If you or someone you love has been injured in a Colorado Springs car accident, it is important to understand the severity of those injuries and how they could impact your future. Contact the experienced Colorado Springs personal injury attorneys at the Green Law Firm today to schedule a no-obligation consultation and discuss your case. Call us today at 1-719-694-8515. We can help you obtain the money you need to fully recover.